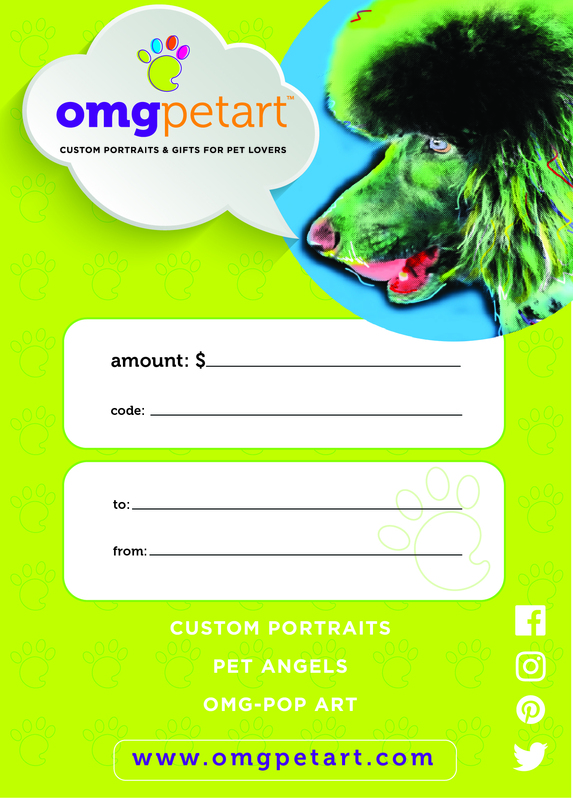 Not sure what gift is best for that special Pet Lover? 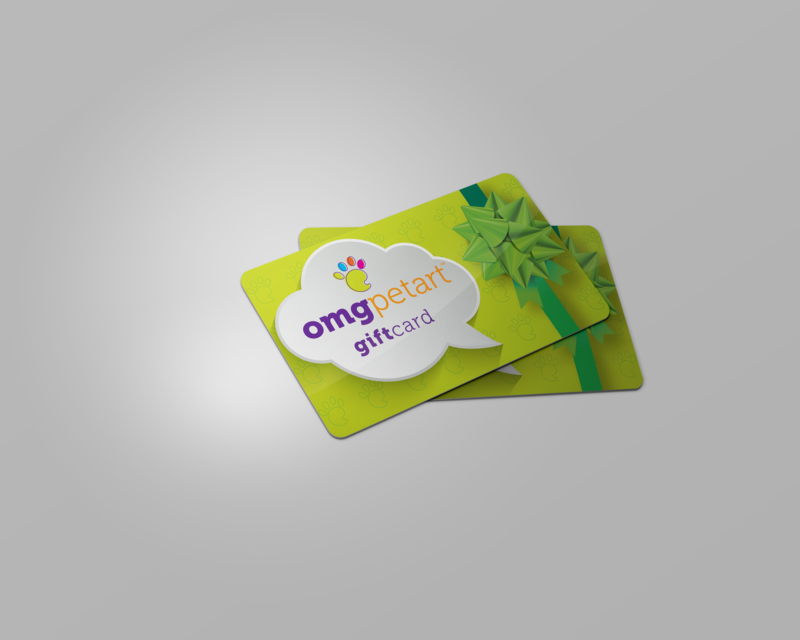 How about an OMG e-Gift Card! This makes it easy, the recipient can take care of taking and uploading a photo at their leisure. And you can calm down. It’s an e-card, and it makes gift giving a lot easier. *Note* To include a print out of the OMG e-Gift Card, please read below. To make a snazzy gift presentation, use the template below. Save to your desktop by right-clicking or holding down the control key and then click on “Save Image As”. Open the image and print it out. It’s 5” x 7” and will fit into an envelope along with a card. You’re giving a card, right? The OMG e-Gift Card code will be sent to the email you used to place the original order. To make a snazzy gift presentation, use the template below. Save to your desktop by right-clicking or holding down the control key and then click on “Save Image As”. Open the image and print it out. It’s 5” x 7” and will fit into an envelope along with a card. You’re giving a card, right? The OMG e-Gift Card code will be sent to the email you used to place the original order. If you cant figure out how to save the image – contact us and we can email it to you.